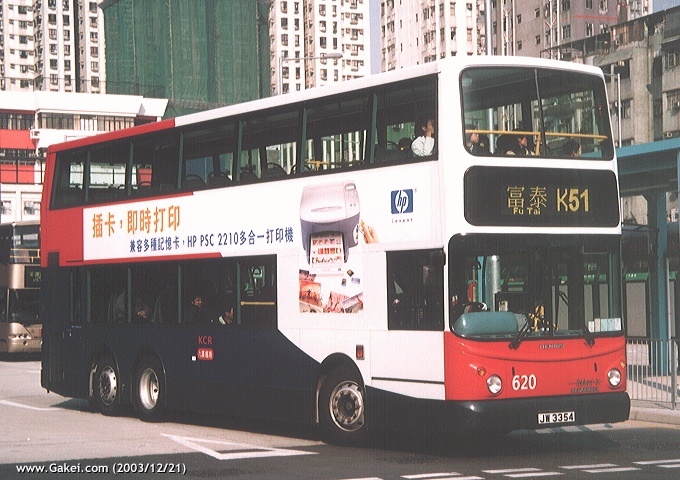 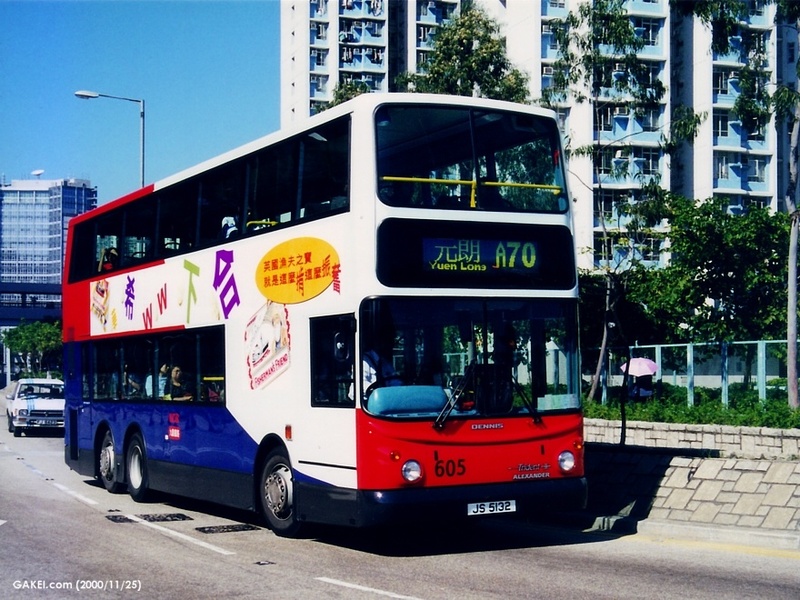 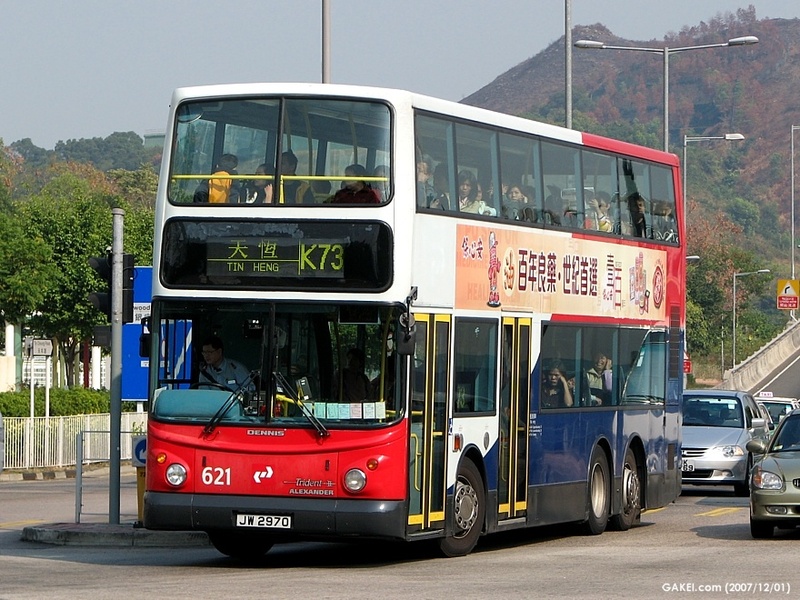 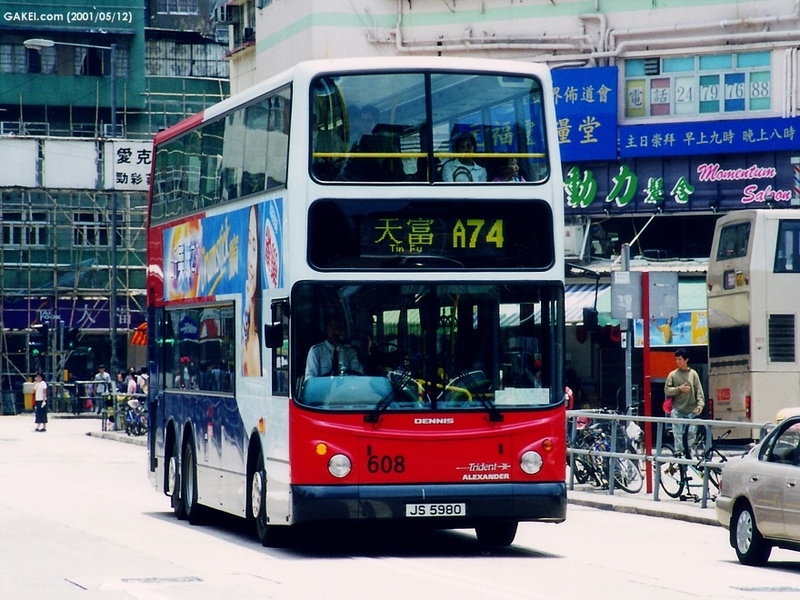 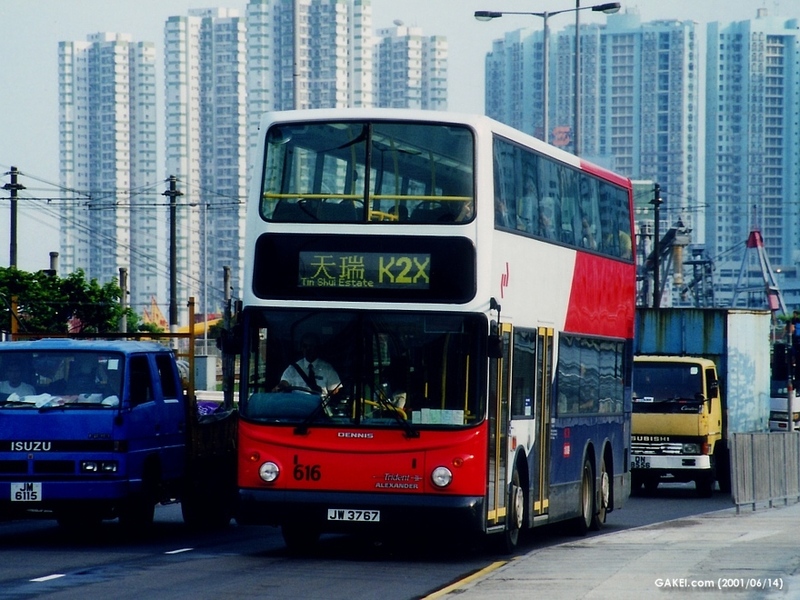 Following other major bus operators which operate Dennis Trident, Kowloon-Canton Railway ("KCR") Corporation ordered 22 buses (601-622) of this popular type in 1999. 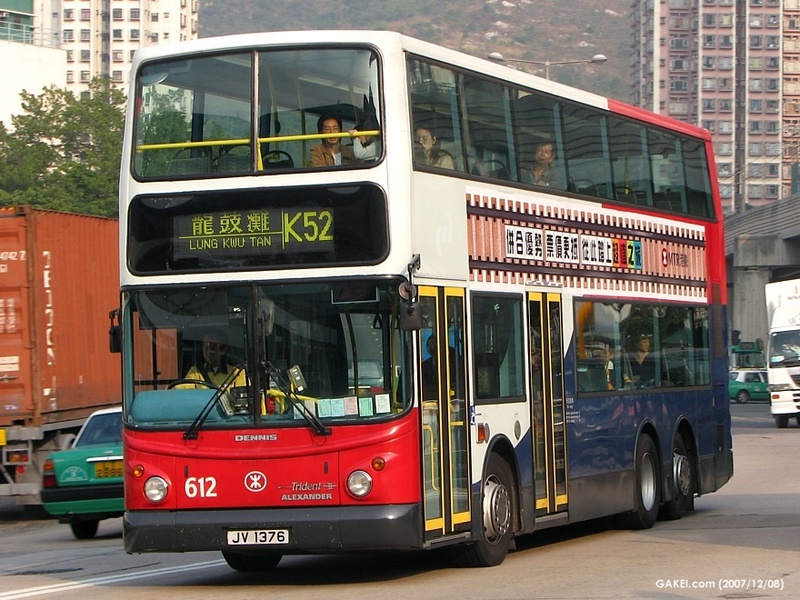 The consideration of the order amounted to HK$5,500 million. 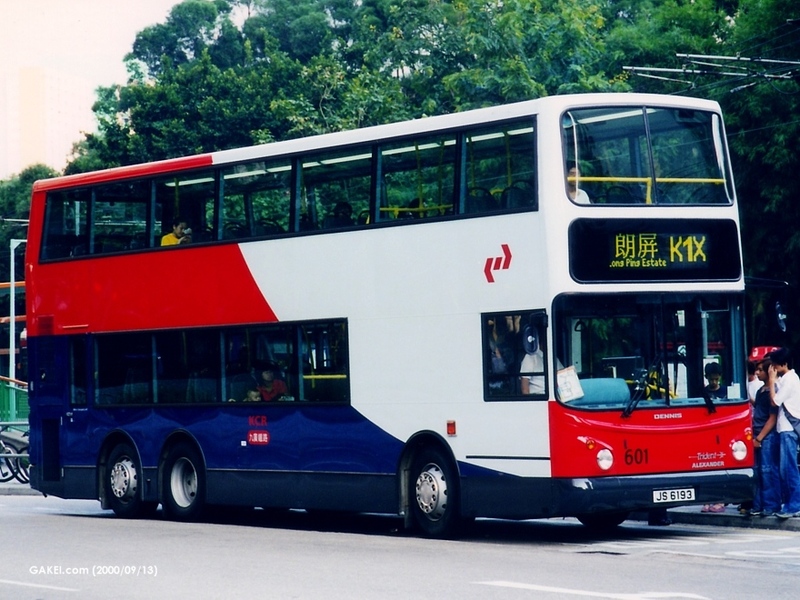 Tridents of KCR are 11.3 metres long, and are installed with modified Alexander ALX500 bodies. 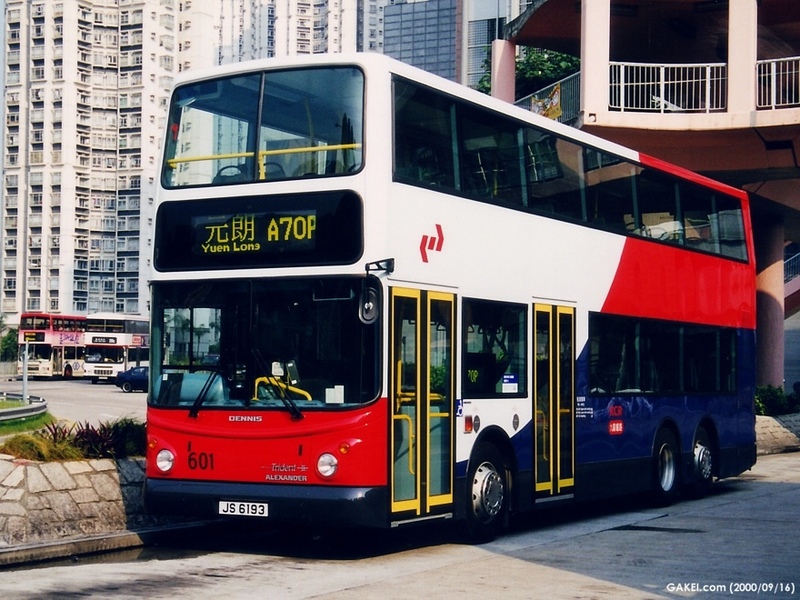 The modified body is similar to those on Volvo Super Olympians. 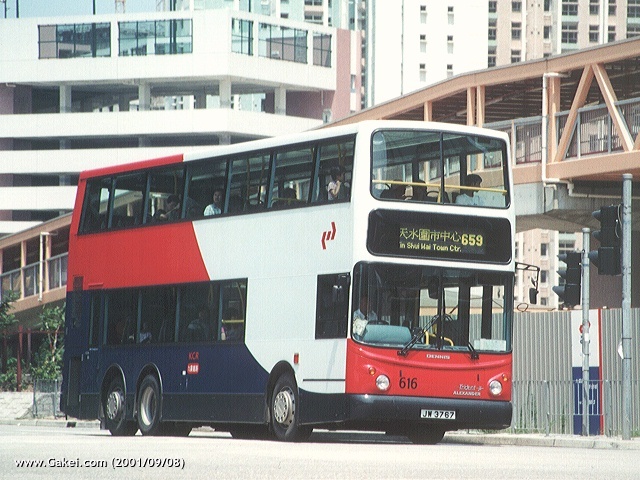 One obvious distinction is that the staircase panel is aluminium sheet rather than in matt black glazing. 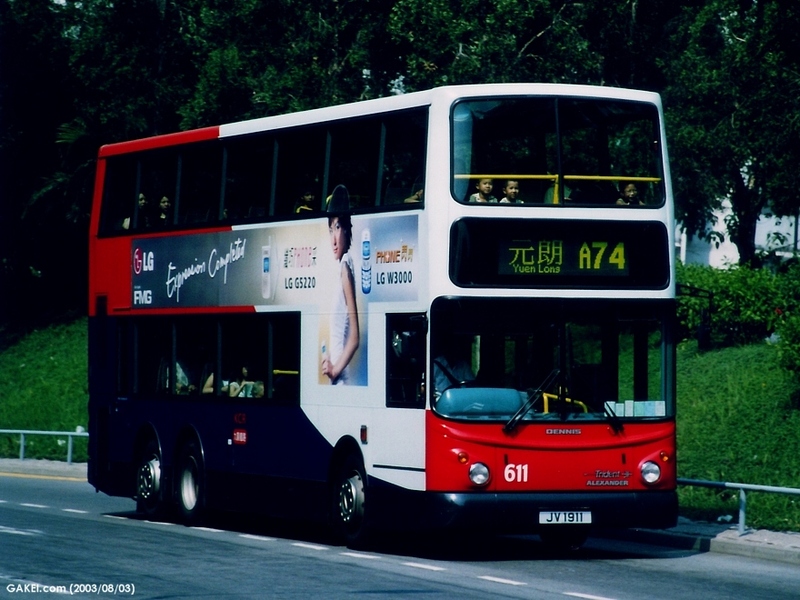 Aluminium sheet staircase panel can be seen on Dennis Trident prototypes but was shortly dropped in the production vehicles. 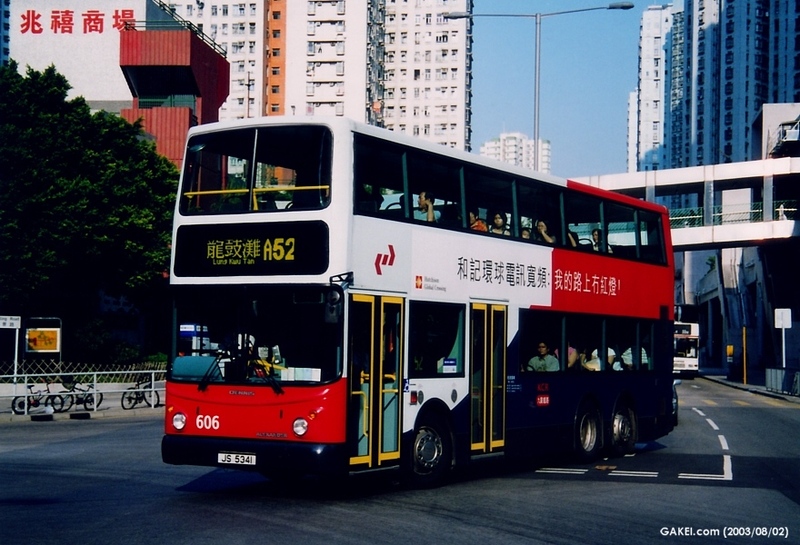 The popularity of panel advertising gives a good explanation for the re-use of aluminium. 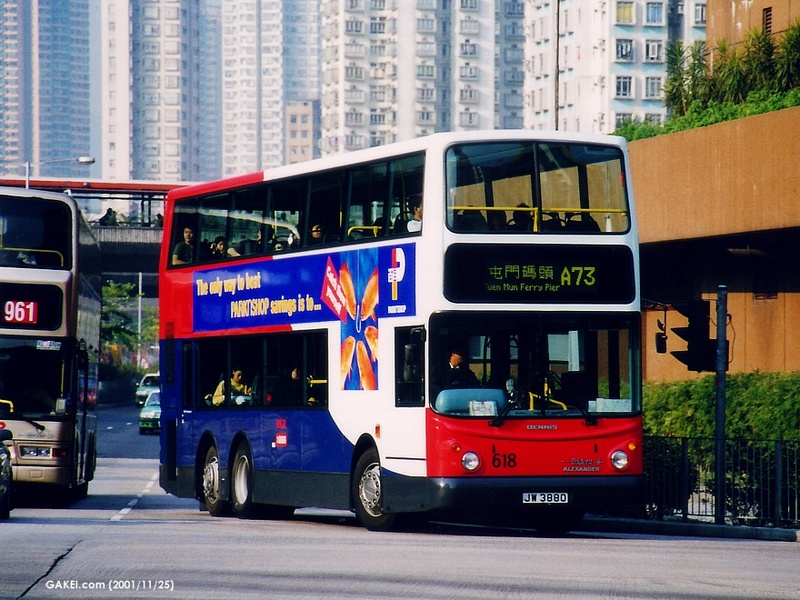 Body assembly work were undertaken in Alexander's own plant. 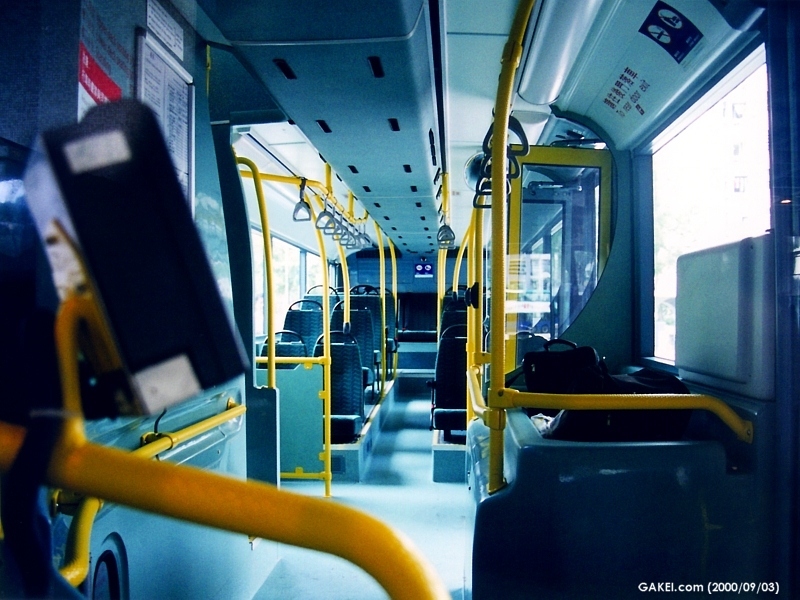 Total passenger capacity is 120, with 83 seats and 37 standees. 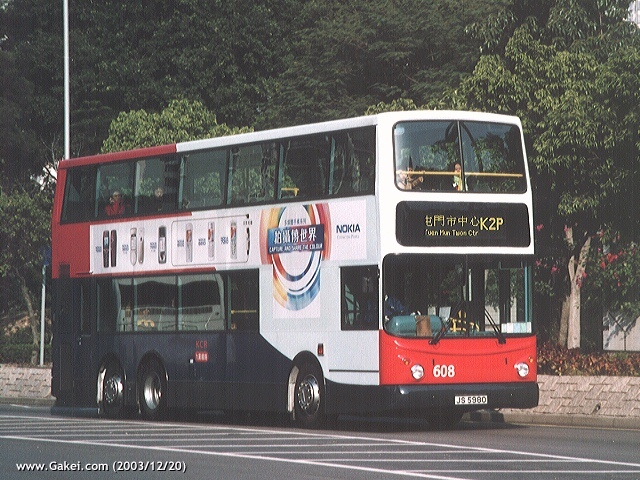 The buses were delivered to KCR in August 2000. 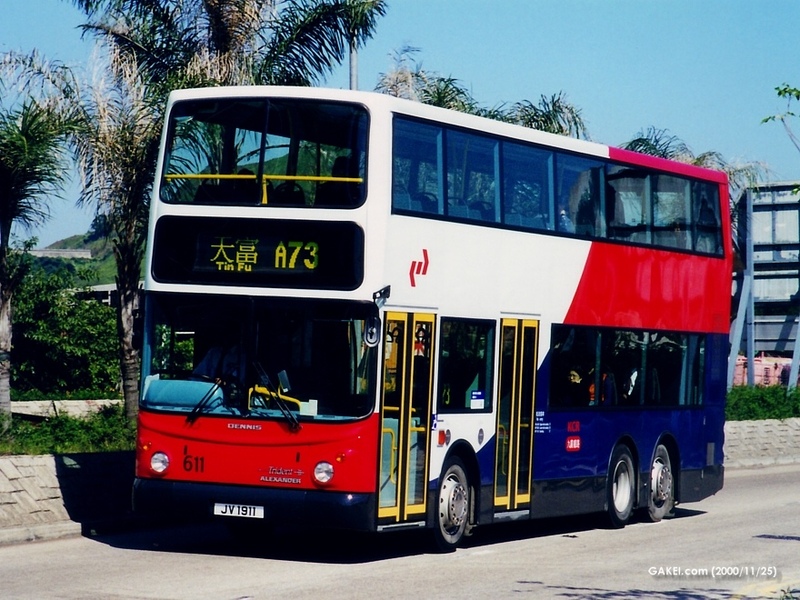 KCR further acquired Dennis Tridents with 10.6-metre (701-747) and 11.3-metre (748-753) Alexander bodies from New World First Bus ("NWFB"). 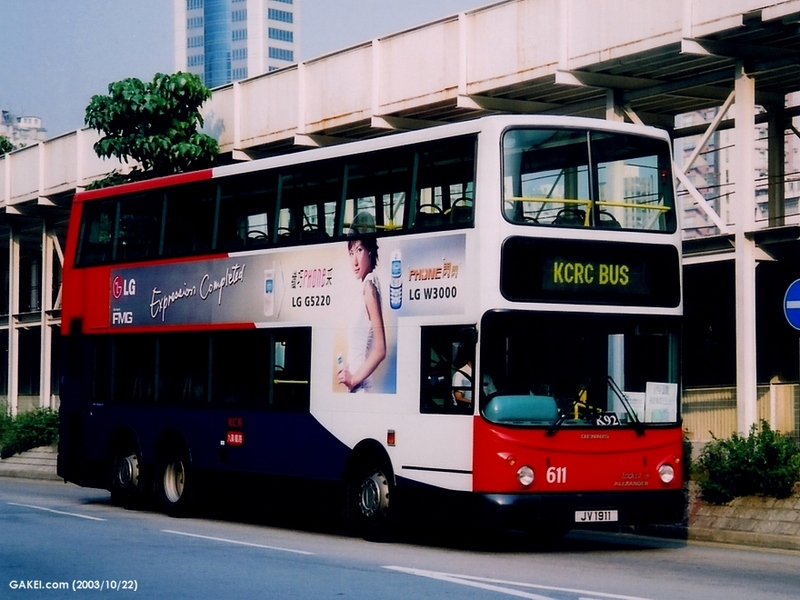 The buses were transferred from NWFB to KCR in November 2004 and started their KCR services in December 2004. 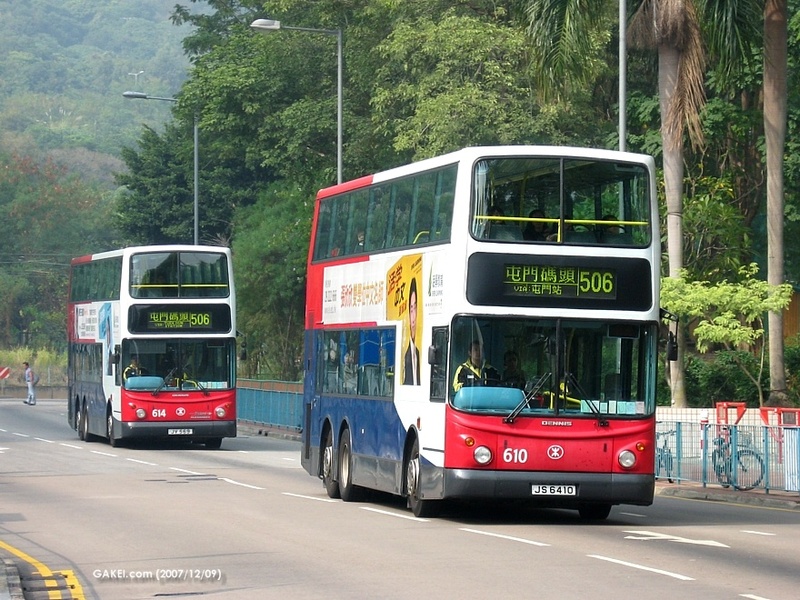 These buses are now operated by MTR Corporation Limited.